Performs fracture toughness (K1C) tests in accordance with the relevant sections of ASTM E399-09, ASTM B645-07, ISO 12737:2005, ASTM E1290-08 (CTOD) and BS7448-1991 part 1 (K, CTOD and J). Real time graphs, all required calculations and validity checks, and reporting. All test data, calculated results, and reports are stored to computer disk in ASCII format. 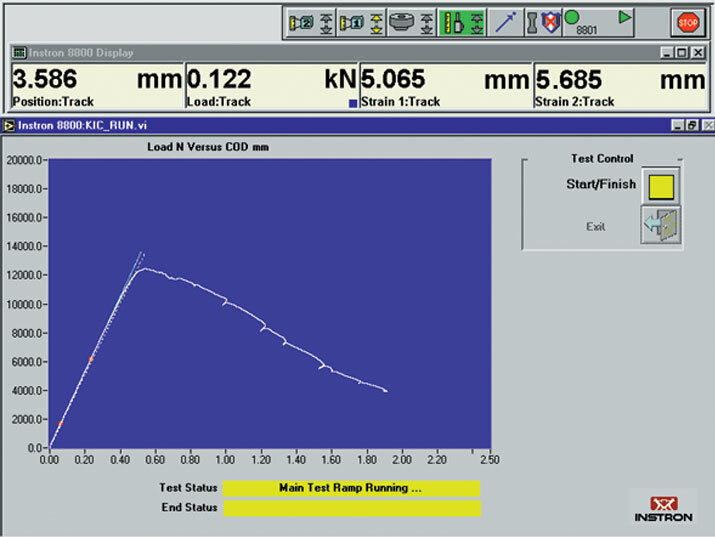 Instron Fracture Toughness Software for FastTrack 8800 and 8500PLUS(v37) Controllers.